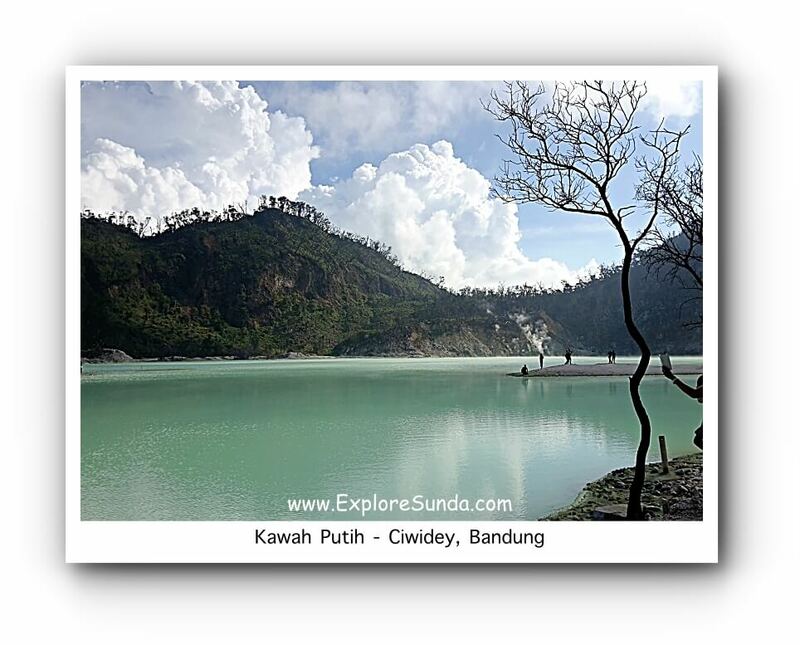 Kawah Putih, or White Crater in english, is a beautiful volcanic lake in Ciwidey, approximately 47 km south of Bandung. 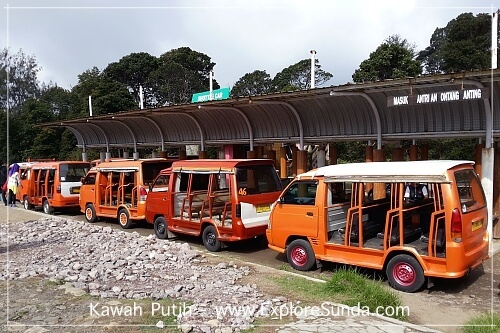 Nowadays, it is as popular as Tangkuban Perahu crater in Lembang, since we can easily reach both craters from the parking lot. Of these two, I would say this white crater is more beautiful than Tangkuban Perahu. The view of the crater is amazing: from the mix of white and greenish color of the lake, the white sandy beach, to the limestone cliffs. Even some trees can grow in this crater. Since most of the crater is under the water, the scent of sulfur is not too strong, so we are still able to walk around near the lake, capturing the view both into our memory and cameras :) However, please be cautious, usually the smell is stronger after the rain and at dusk. Take the stairs down to the lake and walk on the white sandy beach around the lake. Please remember that we are not allowed to play in the water, it is very dangerous. However, the water level is low during the dry season and there are many sand spots we can jump around so we can wandering a bit further. Alternatively, we can go to the small lookout landing. It is a bit uphill, but it is an easy to walk path. We can see an overlook view of the White Crater from up there. Both provide us with great views and perfect photo opportunities. 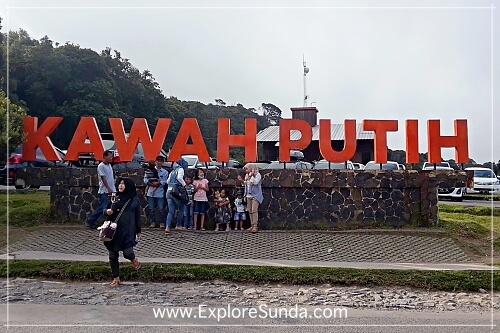 Kawah Putih is one of the two craters of mount Patuha (2.434 meters above sea level). The first crater was formed when mount Patuha erupted in the tenth century. It is in the northwest side of the summit and it is a dry crater. The second eruption in the 12th century created the crater in the southeast of the first one. Over the years the second crater became a lake and known as White Crater. The word Patuha was originated from pak tua, meaning old man or elder, since the locals believe that mount Patuha is the oldest mountain. They also believed that it is the meeting place of the spirits of their ancestors. 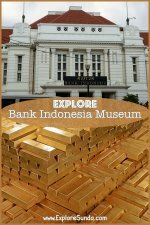 Therefore, nobody dared to go there when Dr. Franz Wilhelm Junghuhn visited southern Bandung in 1837. Zwavel Ontgining Kawah Putih. 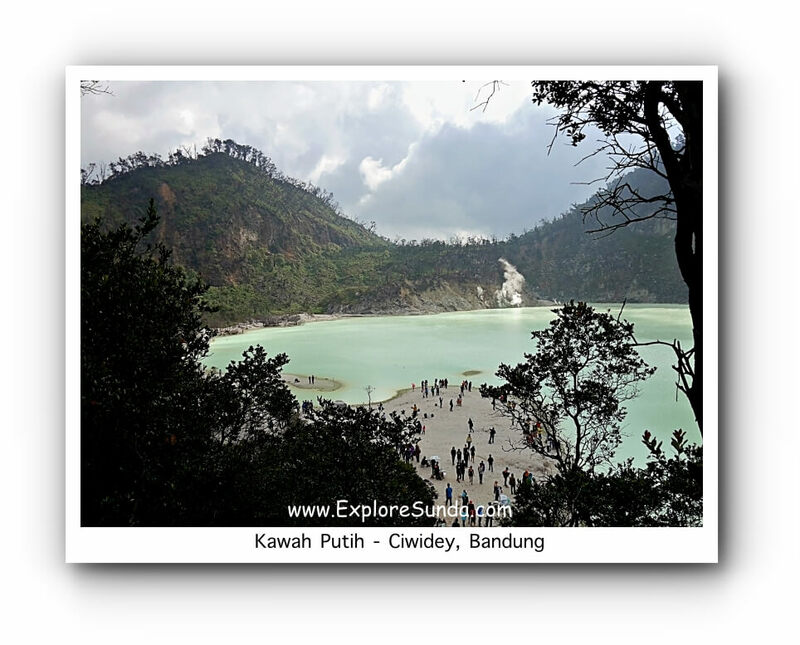 It changed its name into Kawah Putih Kenzanka Yokoya Ciwidey during Japanese colonization. Nowadays, the factory has long gone, but we still can see the front entrance of the tunnel used to mine the sulfur. It is closed though. Many people believe that sulfur is a cure for some kind of skin disease, hence, we will find some vendors sell the sulfur in small packets. The GPS coordinates are 7°09'57.0"S 107°24’14.4”E. If we drive through Purbaleunyi toll road, we should exit at Kopo. 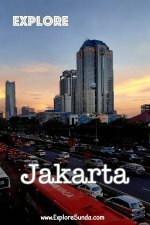 Then we follow the road to southern Bandung district, passing Soreang and Ciwidey. Despite of the provincial road, they are narrow and there are always traffic congestion in some points, hence, the traveling time usually takes more than 2 hours although the distance is only 47 km. Slow down once you have passed Ciwidey Valley Resort. The entrance gate to the crater is on the left side of the road. We park near the entrance gate then take the shuttle cars. 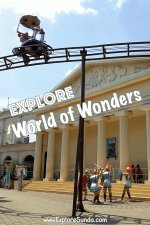 In 2016 the ticket price for the shuttle car is Rp. 35,000/person. We may also drive our car to the parking lot near the crater. The ticket price is Rp. 150,000/car. These tickets are on top of our entrance tickets.